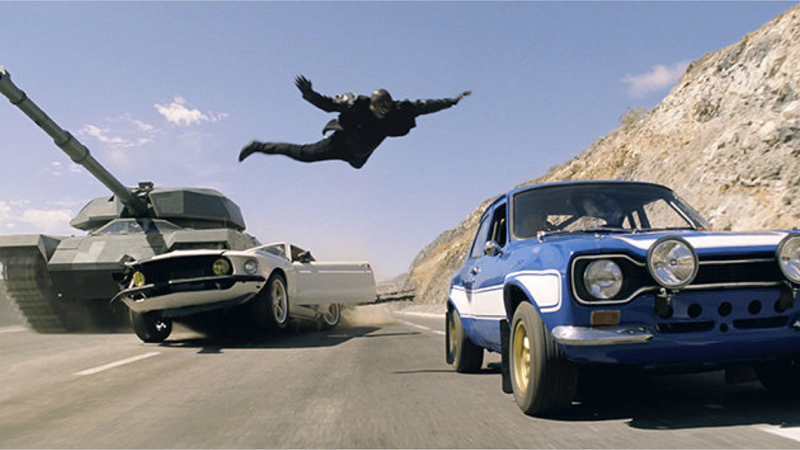 Tonight, we’re going to do something a little unusual, and that is because I did something unusual: doing a double feature of Epic and Fast and Furious 6. If Epic were a student, it would be an economics major: It plays it safe, and does nothing to deviate from the norm of modern kids movies. It follows Mary-Katherine (Amanda Seyfried) as she winds up in a world of tiny people in tune with nature as they are locked in a struggle to keep their world from rotting. The animation was absolutely gorgeous, but I detected absolutely nothing original about the movie’s storyline. With that in mind though, I had a hard time disliking the movie. The movie had its cute moments that I’m sure kids would appreciate, though I did feel some of the comic relief (much of it provided by Mub, voiced by comedian Aziz Ansari) was a little ill-placed. The biggest issue I really took with Epic was the fact that it had more characters than it could really handle in its run time, such as Nim Galuu (Steven Taylor); there clearly wasn’t enough script to go around. The movie devoted all its attention to M-K, Ronin (Colin Farrell), and to Nod (Josh Hutcherson). The setting was very imaginative and a real treat for the eyes. 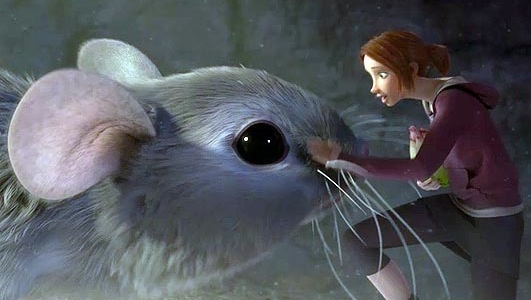 However, Epic is exactly the kind of kids movie where if you have seen something that was not made by Pixar in recent memory, you’ve seen them all. It was by no means a bad movie in its own right, but it was quite forgettable. Sense. This screencap makes none. I’ll put out the same disclaimer I put out for Saw VII here: I have not seen any of the previous Fast and Furious movies. With that in mind, Fast 6 follows Dom Toretto (Vin Diesel) and Brian O’Conner (Paul Walker) as they try to get one of their own (Michelle Rodriguez) back on the right side after she finds herself in league with a terrorist (Luke Evans). While Epic was the economics major, Fast 6 was the frat boy: Loaded with money, has the occasionally good one-liner, and absolutely in-your-face obnoxious. It didn’t take me long to give up following whatever thin plot there was. At any rate, I will say the car scenes were better than what I have seen in Tokyo Drift; that movie, even for its time, featured some absolutely awful special effects. However, everything else about the movie made it seem like Fast 6 desperately wanted its place as Skyfall‘s kid brother, particularly the chase in the London Tube station. The fight sequences in said scene were edited in a way that reminded me of last year’s Safe House so as to be absolutely disorienting. I guess the fact that I felt hardly any emotional connection to any of the characters could be attributed to my not having seen any of the previous films. However, I was rather unimpressed by the movie’s villain; he wasn’t exactly on par with Benedict Cumberbatch in Star Trek Into Darkness. In addition, it suffered from Alpha Girls syndrome in that I felt like there were bits, like when Tej (Ludacris) convinced a showroom guy to strip down in front of him, that were there to pad the movie’s length as the writers ran out of ideas for actual plot to fill the film up. While Fast 6 was by no means a horrible movie as it had decent enough performances from the cast and some good moments, I really had a hard time caring about anything in Fast 6. Had I seen this movie 5 years ago, as a foolish (and horny) 17-year-old, I would’ve thought it to be the greatest movie ever. It’s precisely that kind of sentiment that made it to be yet another mindless action movie. Epic — Somehow I’m not surprised, but I think I would still like to see it anyway. I’ve been itching for an animated film for a while. I actually had a hard time reviewing Epic because it was so forgettable (especially since I saw Fast 6 right after it) I was having a tough time recalling specific details to write about. Lmao. Maybe you should have watched it in reverse. I’m about to review it for myself.